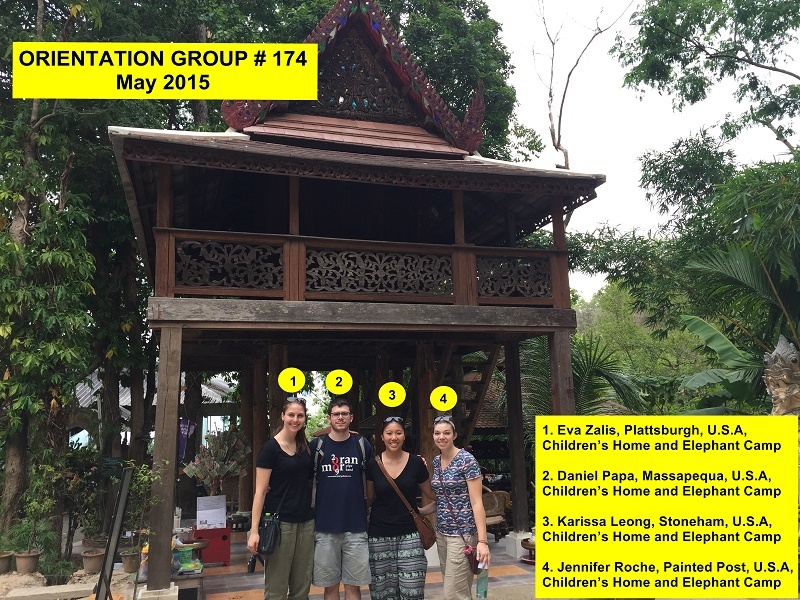 Presenting our special 174th volunteer group here in Chiang Mai. Eva, Daniel, Karissa and Jennifer are friends and have come to Chiang Mai to participate in our Children’s Home and Elephant Camp Volunteer Projects. They are a week and a half into their Children’s Home Placement, and will be starting their Elephant Camp Project in abut three and a half weeks. We hope that these four American volunteers enjoy their experience working with the kids and elephants. Our busiest months of the year are always the summer months of June – August. We still have availability in most of our projects, and recommend anyone looking to volunteer or intern this summer, to complete our online application as soon as possible. The online application and booking procedure is simple, and the first step in making your volunteer or intern project with us here in Thailand a reality.